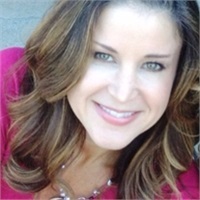 Misty Petrosino | Consolidated Planning, Inc.
Misty is a native of Charlotte, NC with a Bachelors in Journalism and Mass Communications from the University of North Carolina at Chapel Hill. She has over 20 years in the financial services industry working primarily at MetLife. While always maintaining a book of business as a producer, she has assisted firms in other roles such as adviser teaming, marketing, training and operations thus allowing her to provide guidance in many areas when onboarding new advisers. Misty assists the firm in the onboarding of new advisers, ensuring they get off to a fast start. She also works with top producers and producer teams on client segmentation, efficiencies, client service models, and personality assessment workshops. When not at work, Misty stays very busy raising her two children and two chihuahuas.